You can stop trying to get everything right. 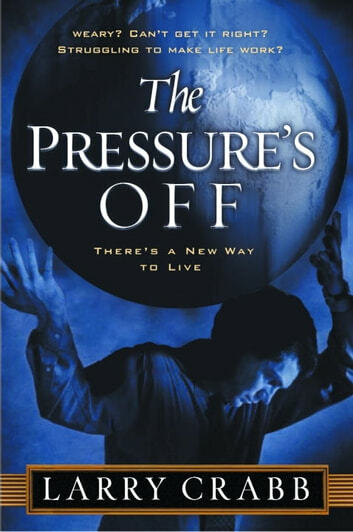 Is the pressure getting to you? Do you try to make everything work, only to find that your best efforts are largely ineffective? Christians have unknowingly embraced two errors: that following the rules guarantees a good life, and that God is important because He dispenses blessings. When God’s blessings seem to taper off and when life doesn’t work out, people take it upon themselves to make things work. And that creates pressure that we are all too familiar with. In The Pressure’s Off, best-selling author and counselor Larry Crabb introduces you to the New Way of living. God does not guarantee ease or convenience—or even a good outcome as the result of your obedience. But he does promise himself, no matter what the circumstances of your life. When you seek God and nothing else, the pressure truly is off you.